NAIROBI, Kenya (PAMACC News) – After years of wheeler dealing, Kenya finally has a climate change law. The 2014 Climate Change Authority Bill has finally been signed into law by President Uhuru Kenyatta on May 06, 2016 after going through the third reading in Parliament. This is the second time the Bill has gone through Presidential scrutiny after former President Mwai Kibaki declined to sign it into law citing lack of public participation in the drafting process during the late stages. This is the first time a climate change law has been established by an African country. Research indicates that some African governments have Bills in Parliament, while others are still debating whether to have legislation in place or not. Joseph Pamba, a farmer from Mbeere South in Eastern Kenya has high expectations from the legislation. The 65-year-old has already sown maize, peas and millet at his farm since the short rains were due in October, going by Kenya Meteorological Department (KMD) weather forecast for the last quarter of 2014. The retired primary school teacher understands the need for such legislation. For he has seen a lot of change in his village for the six decades he has lived here. He can count a couple of tree, animal and bird species which have disappeared from the Mbeere ecosystem. Even a nearby river was flowing with fish. Now there are none, he says. According to him, a climate legislation may create structures to reach rural Kenya, like his village. Even processes like issuance of title deeds and better markets for farmers may be influenced by the new legislation. The Ministry of Environment, Water and Natural Resources (MEWNR) agrees with Pamba’s expectations. To reach farmers like him, the legislation is expected to pave way for the establishment of a Secretariat under the Ministry, officials say. The Secretariat will then be made into a Department, then into an Authority, explains Alice Kaundia, the environment secretary at MEWNR. This will enable the introduction of incentives such as tax rebates, subsidies and e-procurement for climate innovations, she says. But there are challenges to even. 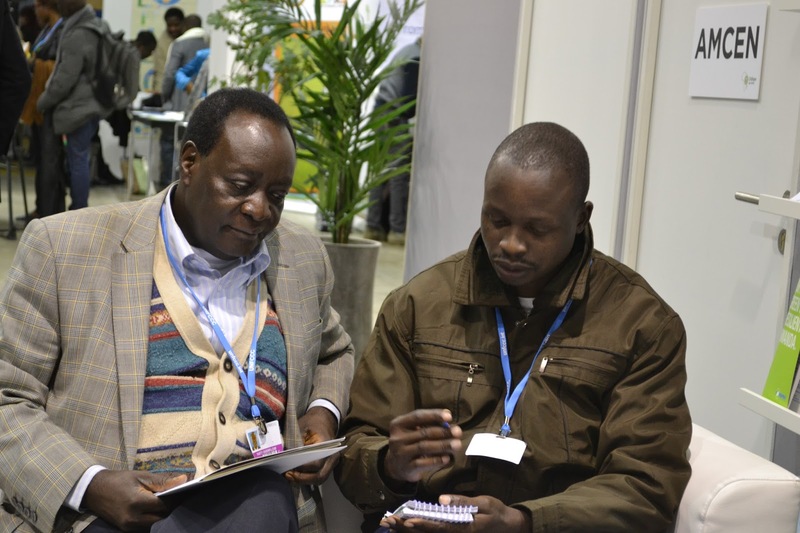 Experts say the greatest test for Kenya will be to translate scientific data into information that can be used for the welfare of climate hit communities. According to Richard Munang’, the climate change program coordinator at the Regional Office for Africa (ROA), UNEP, experience shows there are barriers in building the capacity of the public to take action when there are new breakthroughs. Meanwhile, Erastus Gatebe, the chief research scientist at the Kenya Industrial Research institute (KIRDI), says the new climate law should enable farmers transform from subsistence farming to manufacturing.